Many members of the Old Schoolhouse Magazine’s Review Crew have received a VocabularySpellingCity Premium Membership from VocabularySpellingCity to review. I received the membership and have used it with all three of my students who are studying spelling: Sterling (6), Eden (8), and Liberty (10). It’s appropriate for K-12, but since Ruby is still learning to read and not doing spelling in our home school, she didn’t use this. Each week, I’d type up each student’s spelling words from their current curriculum, and they spent the week playing games, taking practice tests, vocabulary tests, and more, all with the spelling words I’d chosen for them. The possibilities were endless, but they soon each had a favorite game that they kept going back to. Honestly, the biggest problem I had with this program was getting their words typed in there for them. We’re always scrambling for time, and I was forever forgetting to get them typed in there before Monday rolled around again and they started a new list. I think if we’re going o stick with this, I’d spend some time entering every word from all 36 lists that are in my kids’ spelling books, organize them by list number, and then I could step away from all responsibility beyond the occasional reminder for them to do it. My only other complaint is that some of my girls’ lists are longer than the 51 word maximum we ran into. They are their review weeks, and I couldn’t enter in all the words on those lists into one practice section. That was a little frustrating, but we figured it out. Signing in for the kids was strange – it didn’t require a password for the kids so I didn’t use one, but I found out too late that because of this, it wasn’t recording any of their scores. Not critical for us since we just used it for practice on their words and I still administered a regular test on paper each week, but this could potentially replace the need for me to give a test at all, but it would need to be recorded properly. I’m sure it’s an easy fix, but I didn’t find it. There are so many games. Liberty saw my screen shots on my review and had instant comments. “Oh, I liked that game. That game was hard. 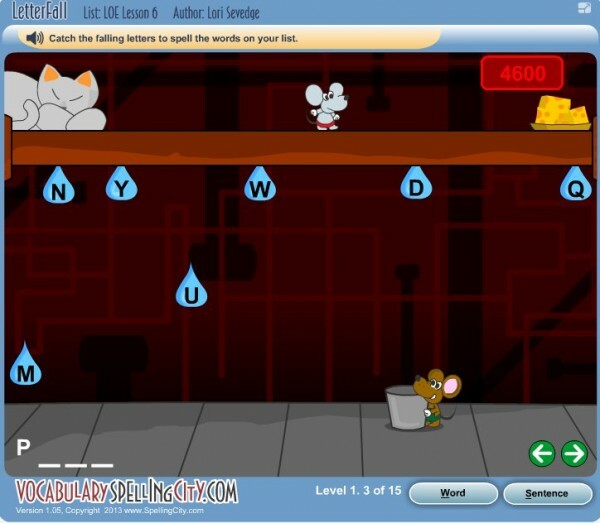 That one wasn’t my favorite…” All three of my kids loved playing on VocabularySpellingCity and begged to do a practice test each Thursday morning before I gave them their regular test. All of them recognized their scores much improved with a practice test first. The kids have been learning typing this year too, so the games that allowed them to type or had them searching for a letter quickly were particularly fun for them, since they got to practice their newly acquired (and still developing) typing skills. Overall, this has been a great site for our family and the kids have learned and enjoyed themselves. Liberty in particular wanted me to mention how much she enjoyed it. Perfectionist that she is, she loved that she got 100% on every spelling test taken during this review. Eden scored perfectly the entire time too, and Sterling did almost that well. While they typically do quite well in spelling, this was a bit better than normal. In our house, a 100% on Thursday’s test means no Friday test and no words to write multiple times, so this was cause for rejoicing on their part! 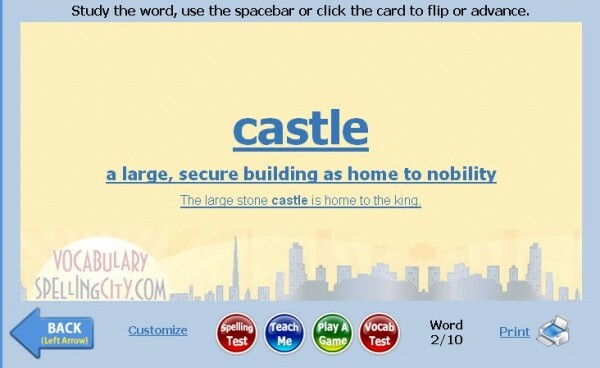 VocabularySpellingCity offers a much more basic offering (less games/tracking/options) for free. Their premium price is $29.99 per year for up to five students. 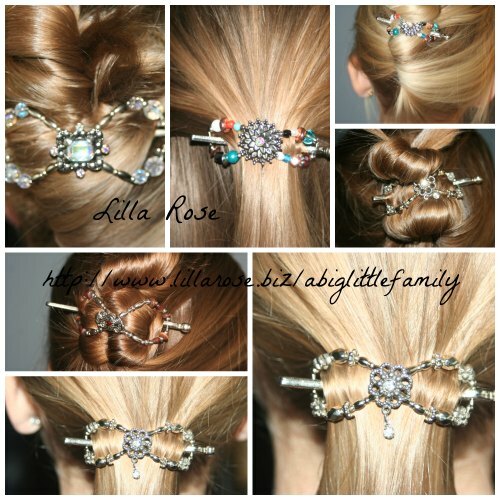 They also offer classroom and school-wide prices on their website here. 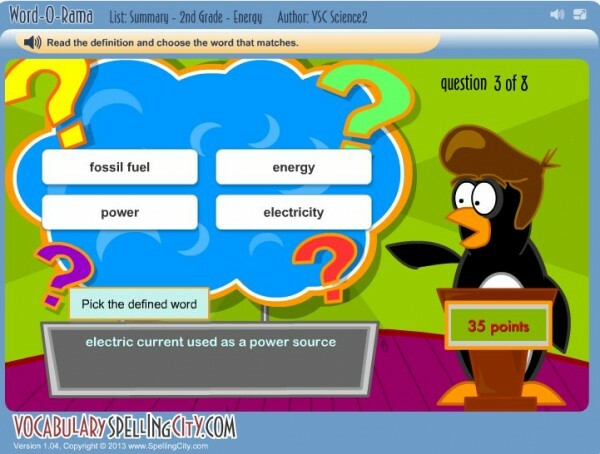 To read more reviews from the Crew on Vocabulary Spelling City, check out the Review Crew Blog. ← It’s like a barnyard around here.